Formal Wear consists of three catagories that is Morning Wear, Evening Wear and Highland Wear. 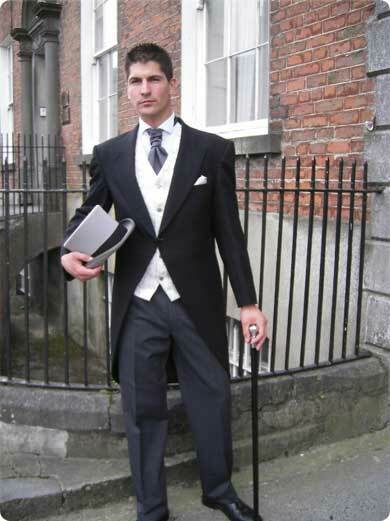 Morning Wear is wore for weddings, investiture and events up to 6pm in the evening after that it is either Dinner Jacket or Evening Tails depending on the invitation. Highland Wear can be worn for weddings and all formal events regardless of the invitation.